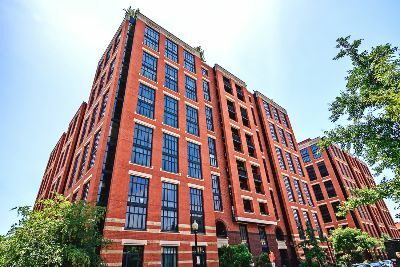 Washington, DC is a city known for unusual condominium conversions—one such example is the Landmark Lofts at Senate Square on Capitol Hill. Built in the 1874, this historic building was once home to a convent! 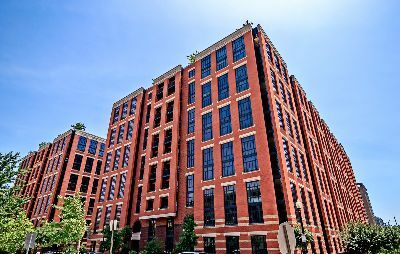 Now, it’s all about luxury lofts for sale, with recent prices ranging from $450,000 to $1.875 million. What would the original Sisters say about such opulence? The Landmark Lofts didn’t go straight from convent to condo—the Gothic brick building with its gables and spires housed the Capital Children’s Museum before being purchased and renovated into 44 condo units by Abdo Development in 2008. These one of a kind loft residences have plenty of room, ranging from 800 to 2500 square feet, and are located at 215 I Street NE in DC’s 20002 zip code. Historic adaptive reuse projects like this certainly aren't an anomaly in the area. A case in point is Bishop's Gate in Logan Circle, once known as the St. Augustine Parochial School, or Carolina on the Hill, originally Saint Catherine's Home for Working Girls and run by the Sisters of Mercy. But back to Landmark Lofts. Inside, you’ll find a fascinating blend of modernity and history, with rich wood floors, exposed structural beams and brick walls, vaulted ceilings, fireplaces and original window silhouettes. The gourmet kitchens feature granite counters, maple cabinets, and SubZero, Viking and Miele appliances. Many of the lofts have terraces or balconies, and baths feature honed limestone with Waterworks and Koehler fixtures. While some condos for sale offer a few basic common amenities, Landmark Lofts actually has its own Amenities Building. That’s right—a whole separate structure housing concierge, club room, movie screening room, private wine storage and a state of the art fitness center. Plus, residences get to enjoy a spectacular rooftop pool and lounge, as well as secure parking and a bike room. If all this isn’t enough, the location should seal the deal—just two blocks from the United States Capitol and easy walking distance to Union Station. There’s also a new Whole Foods due to arrive on the Hill soon, as well as a staggering number of museums, galleries, parks, shops, theaters, professional sports and of course, bars and restaurants. This fascinating loft development with it courtyards and many separate wings, is truly one of DC’s most intriguing addresses.